THE ARMY BOMB Dispoal Team has made a quantity of unsafe chemicals safe after being called to a pharmacy in Thurles, Co Tipperary today. A quantity of unstable Picric Acid was discovered at the premises on the main square this afternoon during a routine audit of chemicals. The Defence Forces team arrived on the scene at 11.30am and removed the chemical to an area of waste ground. A controlled explosion was carried out there and the scene was declared safe at 12.30pm. The acid is a chemical reagent commonly roused in laboratories and chemists. It can crystallise over time, becoming unstable and sensitive to shock or friction. 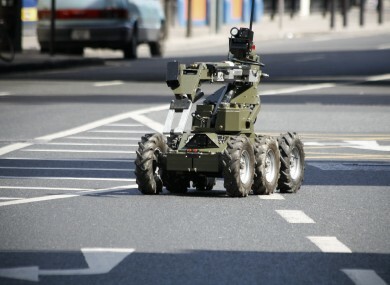 Email “Bomb disposal team called to Thurles chemist after discovery of unstable acid”. Feedback on “Bomb disposal team called to Thurles chemist after discovery of unstable acid”.